Lorenzo Crespi está entrenado en el cuidado natural de caballo y conoce a la mayoría de sus caballos desde su nacimiento. Él cree que para obtener una salud optima para los caballos se les debe permitir que prosperen físicamente, mentalmente y emocionalmente. Ellos deben vivir como si estuvieran en un estado natural. Los caballos de Lorenzo viven fuera en grupos, están descalzos, sin herraduras, son montados con sillas ligeras y no tienen bocados. Sus cascos son recortados regularmente por Lorenzo para promover una fuerte estructura natural. Se ha diseñado una brida para dar el control del jinete, sin el uso de un bocado. Seminarios en el cuidado natural de caballos tienen lugar en Hípica Formentor. Médicos especiales incluyendo un especialista quiropráctico de caballos. 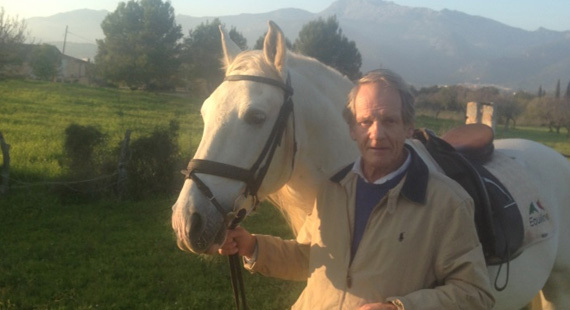 Paul has spent his life breeding and training dressage horses in England. He is now retired and lives in a finca in Mallorca where he trains his horse Bandarin for fun and occasionally competes. 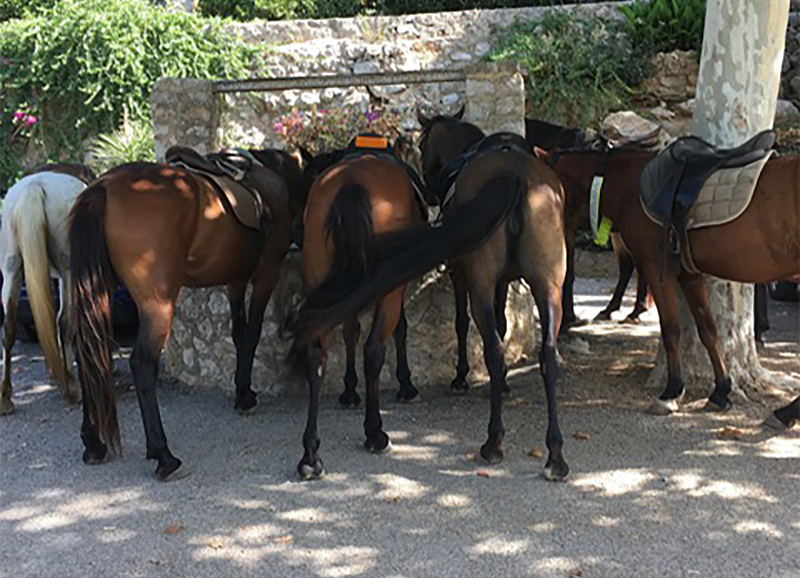 At Hipica Formentor, based near Sa Pobla (Majorca), horses are kept in as near a natural state as possible. This means that the twenty-seven mares and geldings that owner Lorenzo Crespi manages live out all the year round in an unsegregated herd, unshod and free to move around the two hectares that comprise Hipica Formentor. Lorenzo, with twenty-five years of managing horses in this fashion, explains his management practice as follows. The natural habitat of horses is hard, firm ground over which they roam and which ensures that their hooves are kept in shape by natural wear. Although the horses at Hipica Formentor cannot obviously roam as widely as horses in the wild, their constant use for trekking (averaging twenty-five kilometres a day) keeps their hooves in shape and avoids the shrunken frogs and contracted heels that can be seen on so many shod horses. This approximation to the natural life style of horses is followed through in their feeding arrangements. Hay is available at all times in purpose-built slow feeder containers, one metre high with sides of five centimetre square steel mesh, which ensure that the horses forage at a rate akin to horses in the wild. A lid prevents the horses from pulling the hay out of the top and is not fixed so that it can sink down slowly as the hay is consumed, encouraging the horses to feed as near to ground level as possible in their natural manner. 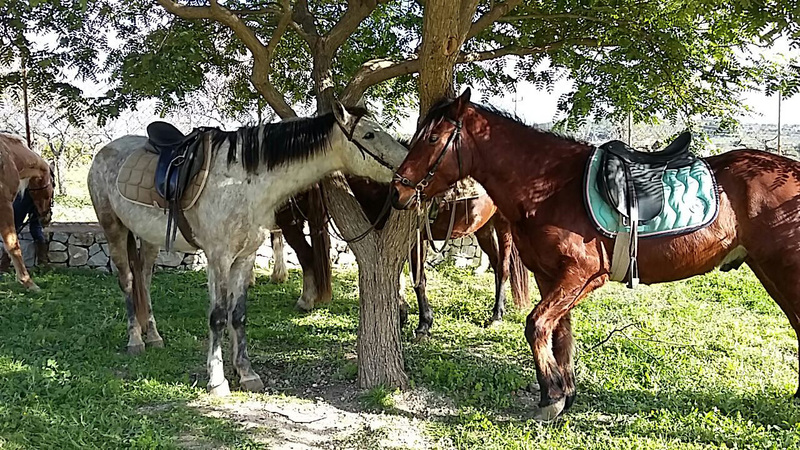 As evidence to the well-being of his horses, Lorenzo points out that many of his horses are at a more advanced age for working compared with stabled horses. His oldest horse was a regular on treks until his death at thirty-three years old. Lorenzo’s ambition is to have a horse aged forty still fit and healthy and going on treks, which would further endorse his management style. As part of the natural horse management at Hipica Formentor, all the horses are ridden in bitless bridles to give them maximum comfort and confidence, bearing in mind the varying abilities of riders. Lorenzo has experimented and adapted bitless bridles over the years, culminating in his current patented version which has a brass connecting piece in the shape of a capital B linking the headpiece to the noseband, so that the reins can either be attached to the top part (poll pressure) or the bottom half (nose pressure). So responsive have the horses become to this bitless bridle that one rider was heard to remark on dismounting that he had not realized the horse had not got a bit in its mouth. As a final comment, Lorenzo is at pains to emphasize that stable managed horses and naturally managed horses have very different requirements and cannot be switched suddenly from one system to the other without risk of dietary and foot problems. Natural horse management is a long term commitment – the horses’ welfare being the prime consideration.